Our permissions system differs between guidelines that are owned by organizations and those that are for personal use. Anybody can create personal guidelines and evidence summaries, after they have signed up. Only guidelines owned by an organization with an organizational license can publish guideline and make them available on our web site. Evidence summaries can also be made publicly available, even personal ones. 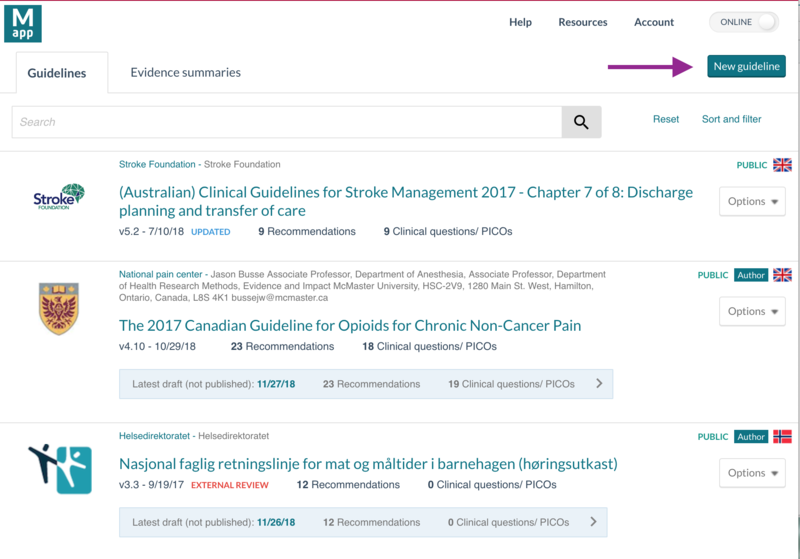 When you log on to our platform you will see a 'New Guideline' and 'New Evidence Summary' button on the right side of the screen. When making a new Guideline or Evidence Summary you will be prompted to fill out some basic information like title and main author- this can be changed at any point later on in the process. 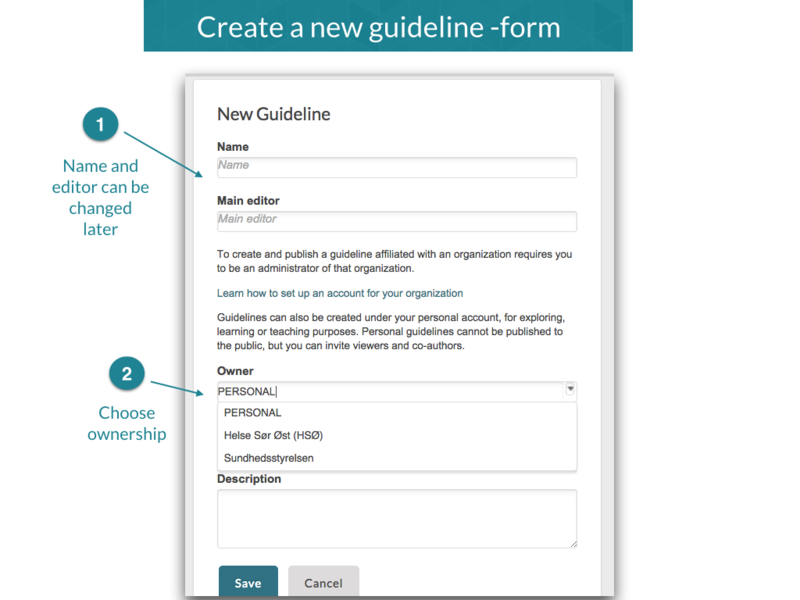 When you have created the Guideline or Evidence Summary you can start adding authors and admins for the guideline in Settings, and start writing content.